If you can’t update iTunes on Windows 10, you’ll be wondering what’s causing the hitch on your Windows PC. The truth is that often times, the problems come from iTunes software, not the Windows 10 operating system. The iTunes software has become overloaded with a feature to the extent that it may sometimes fail to update or install. Therefore, fixing an issue like “can’t update iTunes on Windows 10” may require trying an iTunes fixing software and other tips that can help to update your iTunes and get it running on your Windows 10 computer again. The following tips will help to correct the errors and issues you’re facing when trying to update your iTunes software on a Windows 10 PC. The best way to fix can’t update iTunes on Windows 10 issues and errors is to use a software that can fix such iTunes issues and restore iTunes software to its optimal state. One such software is iMyFone TunesFix. This iTunes repair has the capacity to fix hundreds of iTunes issues and errors such as update, installation, booting, connection, restoring, backup, and other iTunes errors. It doesn’t stop at fixing iTunes update errors, it can repair any iTunes error without erasing or tampering with your iTunes backups and libraries. It can clear old iTunes backups to free up your hard drive and boost your PC’s performance. Therefore, TunesFix is a tool you need if you must have the best of iTunes experience. Fix iTunes update/install issues and errors just with 1-click. 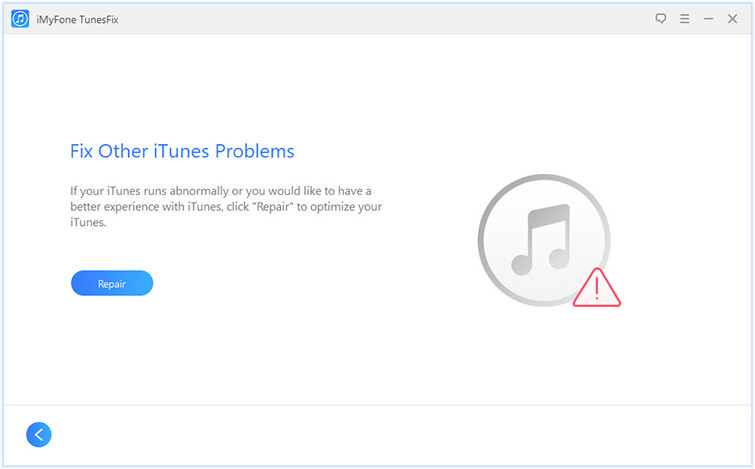 Solve every iTunes issues and errors from the root cause. Repair damaged, hooked, and crashed iTunes software without losing data, files, information, backups or libraries. TunesFix offers you two ways to clean up iTunes needless and useless files from your PC: Deep Clean and Quick Clean. TunesFix supports all versions of iTunes for fixing and repair on all Windows and Mac PCs. Step 1: Open TunesFix and it will auto-detect your iTunes. If there is no iTunes and its components issue been detected, you will be in the home interface. 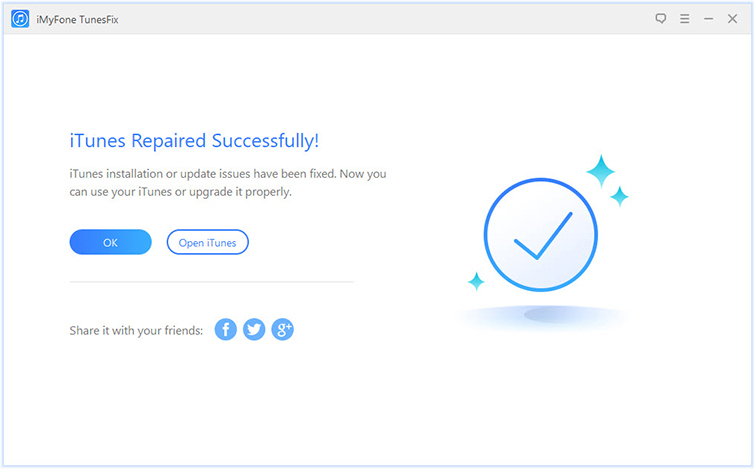 Step 2: Choose “Fix Other iTunes Problems” and click “Repair” to let TunesFix repair your iTunes update error. Please, ensure you have a stable internet connection during the repair process. Step 3: Once the process is finished, click “Open iTunes” and your iTunes will can be updated successfully. 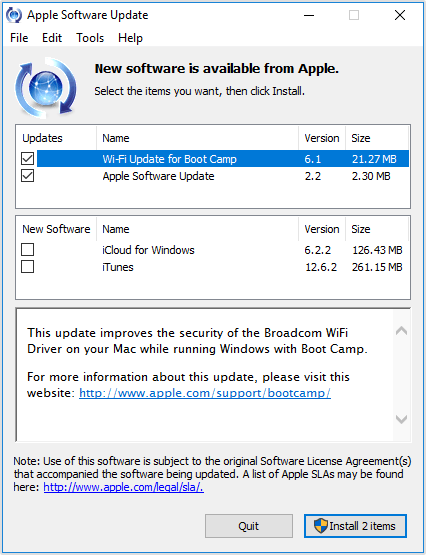 Downloading and installing the latest version of Apple Software Update on your Windows machine can help to solve the problem of “can’t update iTunes on Windows 10”. Step 1: Navigate to Start menu and tap “All Programs Apple Software Update”. Step 2: From the list of available updates, check only Apple Software Update, click “Install” to start downloading and installing the newest version of Apple Software Update. Step 3: Open Apple Software Update again and it will search for updates automatically. Now, check only iTunes and click “Install” to download and install the latest version of iTunes. Still can’t update iTunes on Windows 10 after trying the second tip or you don’t want to follow that method? You can use iMyFone TunesFix to uninstall iTunes and its related software components completely and download the latest version on your PC. Step 1: Launch TunesFix and go to the home interface. 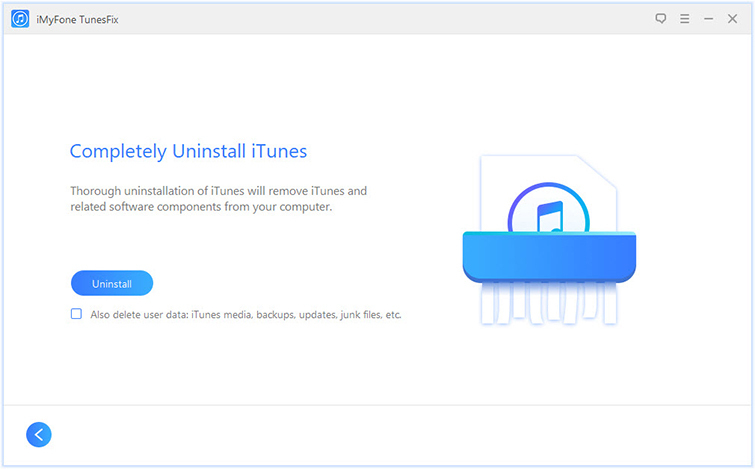 Step 2: Choose “Full Uninstall > Uninstall” to remove iTunes and its related software components. Step 3: Tap “Click here” to reinstall iTunes. Repairing iTunes from the control panel can help to fix the issue that’s causing can’t update iTunes on Windows 10. 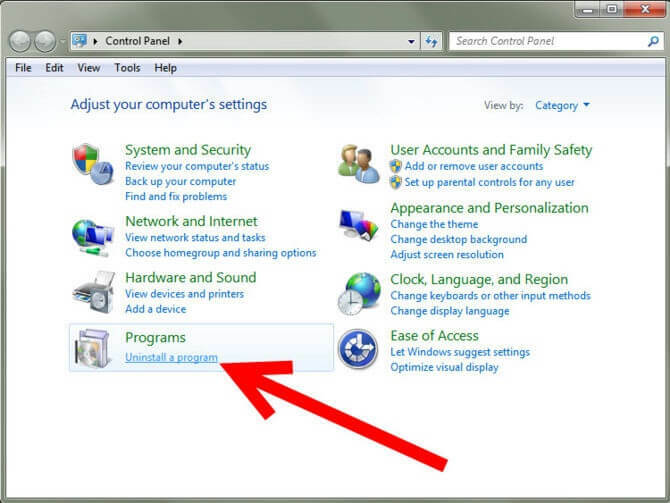 Step 1: Launch “Uninstall a Program” from your Windows Control Panel. Step 2: Select iTunes as the program you want to uninstall. Click “Repair” and follow the prompts to complete the repair process. Step 3: Uninstall iTunes and reinstall iTunes on your Windows 10 PC again. Still can’t update iTunes on Windows 10? Then try updating your Windows 10 to its latest version. Step 1: Click the Start menu, then go to “Settings > Update & Security > Windows Update > Check for updates”. Ensure you are connected to a Wi-Fi network. 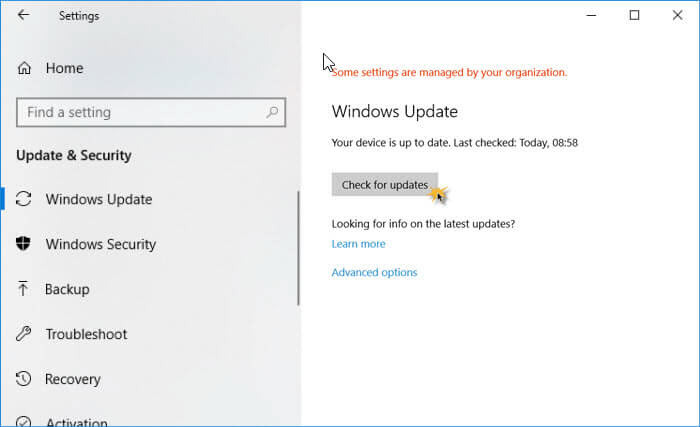 Step 2: If Windows says your device is up to date, then it means that all your devices are currently up to date. If not, it will automatically update your PC. Step 3: Windows will give you a notification to restart your PC at the end. It’s more convenient to use an all-in-one tool (iMyFone TunesFix) in caring for your iTunes rather than trying all these methods. Therefore, get TunesFix now.